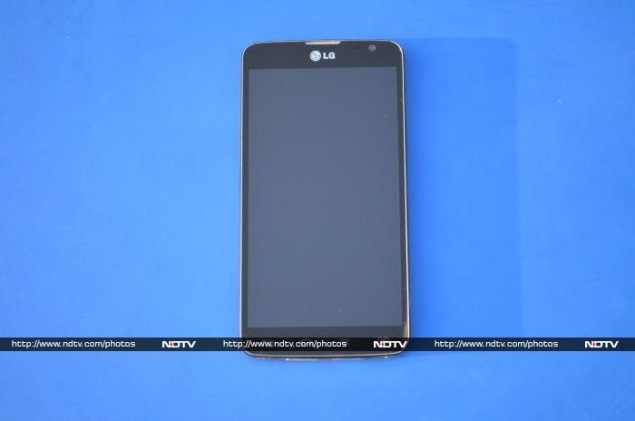 LG seems to be targeting the price-conscious Indian market with a vengeance. The South Korean handset maker has been aggressive lately in terms of releasing smartphones across various price segments, something Samsung has been doing for years. Hot on the heels of the power-packed LG G2 comes the relatively low-powered, but also more pocket-friendly, LG G Pro Lite. The 5.5-inch phablet is a variant of the Optimus G Pro launched earlier this year. The G Pro Lite is an affordable Android device when compared to a flagship, targeted at those who want to experience the best in terms of design, software and hardware without spending a bomb. Will G Pro Lite be able to revive the mid-range segment which is already losing steam? That still remains to be seen. When a phone is released in the market and tagged as being the sequel/ successor or a variant of an earlier device, it is fair chance that it will bear more than just a passing resemblance to its predecessor. This is the case with the new LG G Pro Lite which is a spitting image of its predecessor the Optimus G Pro, except that the former does not come with a physical button on the front panel. The G Pro Lite phablet has a lot of design similarities with its predecessor. The G Pro Lite is made of plastic, but it doesn't feel cheap and actually feels really well built. The LG Optimus G Pro features a physical button for home on the front panel accompanied by back and menu buttons, while the G Pro Lite comes with four touch keys for back, home, settings and a dedicated hot key for SIM switch. The front of the LG G Pro Lite, made of glass, is mainly dominated by its 5.5-inch qHD display. The bezel on the sides of the screen is narrow, though when noticed closely is surrounded by a small black border. The 1.3-megapixel front facing camera and the sensor array sit above the display along with an earpiece grill. There is also LG branding on the front panel, between the display and earpiece grill. The power button on the G Pro Lite is located on the right panel of the phone, while a customisable 'QuickButton' and the volume control buttons are placed on the left panel. We were disappointed to see the power button of the LG G Pro Lite placed a bit upwards on the right panel, we wish it could have been placed a little lower as that would make hitting it a bit easier. Next we ended up pressing the QuickButton shortcut instead of the volume rocker buttons often, again because of awkward placement of the buttons. For a smartphone this big, we hope that the volume rocker button could have been placed a little higher. The 3.5mm audio jack, Infrared Blaster and an additional microphone sits at the top panel of the G Pro Lite and there is a stylus port at the top right corner of the phablet. The Micro-USB port and the microphone are located at the bottom accompanied by dual speakers; something that we could say is an addition to the G Pro Lite, when compared to its predecessor. An aluminium frame runs through the phone separating the back and front panels and we must confess that it does give the G Pro Lite a premium look. The frame is visible as a thin line at the left and right sides, but widens at the top and bottom. 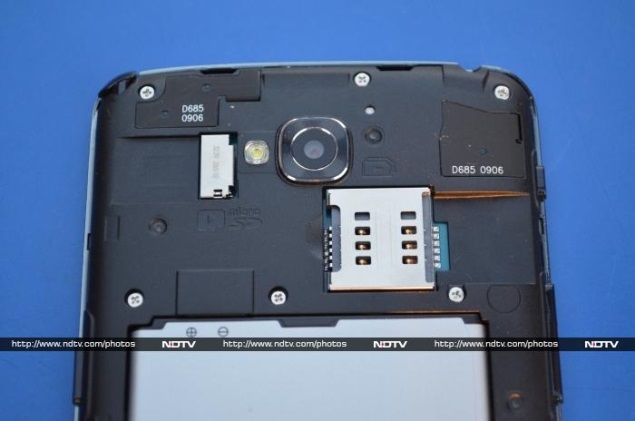 Much like the Optimus G Pro, the LG G Pro Lite comes with removable back panel. 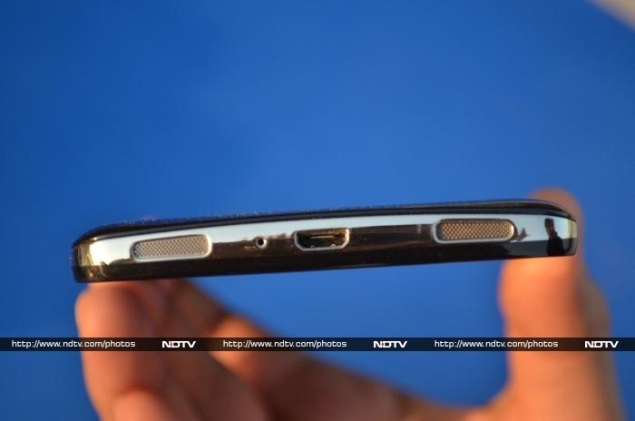 The rear panel is made of plastic and can be removed through a small gap at the right side of the phablet. The back has a glossy finish and is prone to smudges. Being a plastic back, the phone does seem slippery when used for long durations and also doesn't provide a good grip. 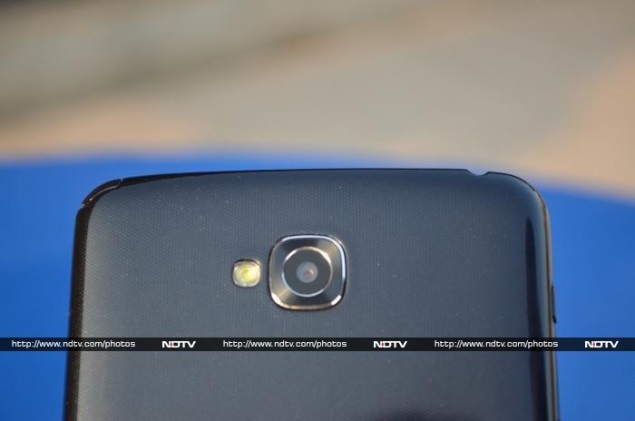 There is an 8-megapixel camera accompanied by an LED flash at the back. Notably, the camera lens is surrounded by a raised, circular in shape enclosure which is very much visible. LG branding is also present at the back of the G Pro Lite, in the middle. The LG G Pro Lite as anyone would expect is not very easy to use with one hand, unless you have big palms. However, we would say it's not impossible to hold G Pro Lite one-handed, but stretching the thumb all the way across the display feels uneasy at best, and for many users - it could even a deal breaker. Also due to the sheer size the LG G Pro Lite barely fits into pockets and usually was visible out of our pocket. The LG G Pro Lite comes with a 5.5-inch IPS display with a resolution of 540x960 pixels and the pixel density stands at mediocre 200ppi. LG has given a miss to Corning's Gorilla Glass 2 that resists scratches, which is expected since it's a mid-range phone. The company has thankfully not compromised on the display size but has dropped the resolution of the G Pro Lite considerably, when compared to the Optimus G Pro which features a full-HD (1080x1920) display. In terms of performance, the G Pro Lite's 5.5-inch display is a bit mixed bag - on one hand, it has vibrant colours and respectable contrast. On the other hand, it has pretty low-resolution 540x960 pixels, which is evident when watching a video or even browsing through images on the Web. 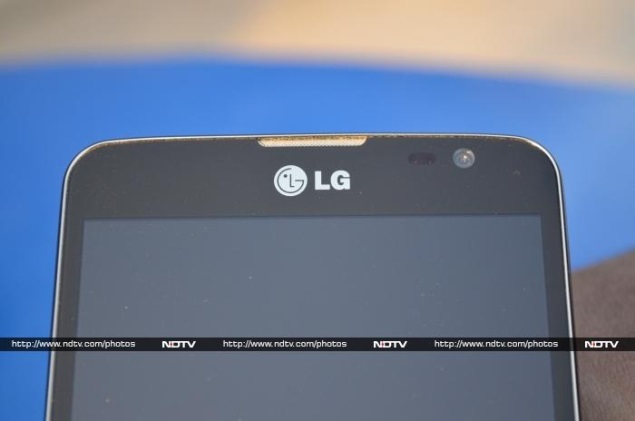 The resolution and pixel density of the LG G Pro Lite is far lower than some of its competitors in the price segment like the Micromax Canvas Turbo which boasts a full-HD display and Karbonn's Titanium X again with full-HD display. The display produced bright whites and vibrant colours; however the G Pro Lite's IPS display does not produce deep blacks, when compared to an AMOLED display. While the LG G Pro Lite renders images and text sharply, we observed that it appears to be slightly washed out due to the low resolution of the screen. The viewing angles on the smartphone are not that great and when you tilt the G Pro Lite, one can notice colours losing their saturation. The touch sensitivity of the LG G Pro Lite is impressive and we did not encounter any issues while using the phablet. Sunlight legibility on the LG G Pro Lite was good when we used the phone with brightness set to the highest level, though the screen is reflective to some extent. The LG G Pro Lite sports an 8-megapixel rear camera with BSI (back-side illuminated) sensor and also houses a 1.3-megapixel front-facing camera. The G Pro Lite's camera app borrows a lot of features from its elder sibling, the Optimus G Pro. The camera app on the phablet includes a customisable quick menu on one of the sides, which includes controls for switching between the front and rear cameras, turning on the Intelligent Auto (flash) mode, switching between normal, panorama, continuous shot, beauty shot, sports and night modes and for accessing the camera settings. Notably, the LG G Pro Lite offers the same settings for voice-activated shutter which is found on the Optimus G Pro, which pictures with voice commands like 'cheese', 'kimchi', 'LG', 'Smile' and 'Whisky'. The camera app on G Pro Lite also offers options like focus, zoom, brightness, image size, scene modes, ISO, white balance, colour effects, timer, geo-tagging, shutter sound and image storage. 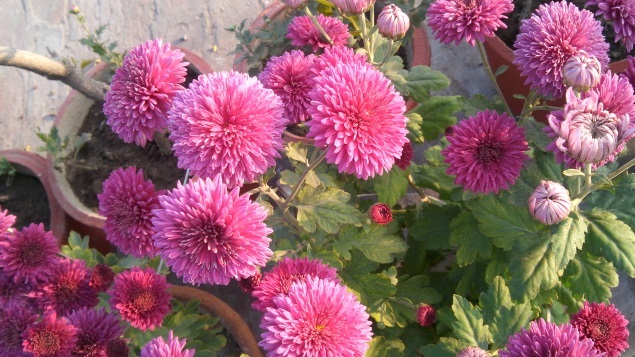 The Continuous shot mode takes up to 20 images in one go, when pressed the click on-screen button/ volume rocker button. The LG G Pro Lite's volume buttons also double up as shutter keys when you're in the app, although there is an on-screen shutter button as well. The camera app also offers a shortcut to the gallery and also offers 4x zoom, which can be controlled by pinching in and out. 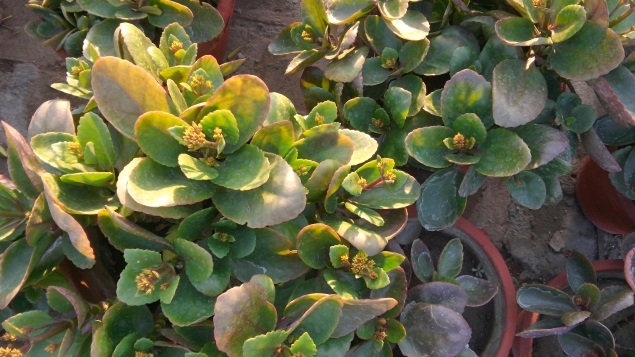 In our testing of the G Pro Lite's rear camera in outdoor, dim and indoor conditions, we found that images taken outdoors during daylight came out well, except that colours were a little over-saturated, and at times noticed noise at edges; you can also see missing details if you zoomed in a clicked image. Other than that, we found the quality of the images clicked by the LG G Pro Lite taken in sufficient light to be satisfactory. However, the same could not be said for indoor and dim light shots, the quality did drop and looked soft and not as crisp as those clicked in well-lit situations. While there was some noise and loss of detail in low-light shots, we would say the performance was quite decent at the price. The LG G Pro Lite also features a 1.3-megapixel front facing camera that can be used for selfies and for video chats. Although, we found videos and images captured indoors or even outdoors through this camera were a bit grainy. At a time when the world is waiting for Android KitKat to arrive on its handsets, LG has used Android 4.1 Jelly Bean for the G Pro Lite, which is extremely disappointing, to say the least. We were hoping the G Pro Lite to run Android 4.2.2 Jelly Bean at least, considering that the LG G2 smartphone which was announced in August and natively ran Android 4.2.2 out-of-the-box. Much like other LG G series smartphones, the G Pro Lite features a UI layer dubbed Optimus 3.0. It's worth pointing out that the Optimus UI version on top of the G Pro Lite is old, and misses out some new features from flagship LG G2. The Optimus UI layer changes the look and feel of the interface and allows users to customise the phablet according to their liking. The G Pro Lite's front panel houses four soft touch buttons for back, which is placed on the left side in-line with the Nexus phones; home button, which also doubles up as the task switcher on long press; settings button that offers various options for phone, when pressed in the home screen mode and a dedicated hot button, which automatically chooses the best SIM option based on user's needs. LG also offers a QuickMemo app on G Pro Lite that lets users scribble notes on a blank page or on top of the homescreen. The app also has an overlay mode allowing you to take notes while running another app. We are glad that LG has introduced stylus functionality to its mid-range segment smartphone though; we still believe that LG needs to preinstall some stylus specifc apps on its devices, as Samsung does with its S Pen. LG has also skinned the G Pro Lite's notification tray including toggles for various settings including for sound, data, NFC, QuickRemote, Bluetooth, Wi-Fi, and Hotspot among others. It also features shortcuts for invoking QSlide apps, and a control for changing screen brightness. The G Pro Lite comes with special apps that LG likes to call QSlide apps. These include a web browser, memo pad, calendar, calculator and a video player. Users can run two of these QSlide apps simultaneously and there's a slider that allows you to focus on one of them. The company offers four different set of visual themes on G Pro Lite each with a new icon set, home screen wallpaper and app drawer background. 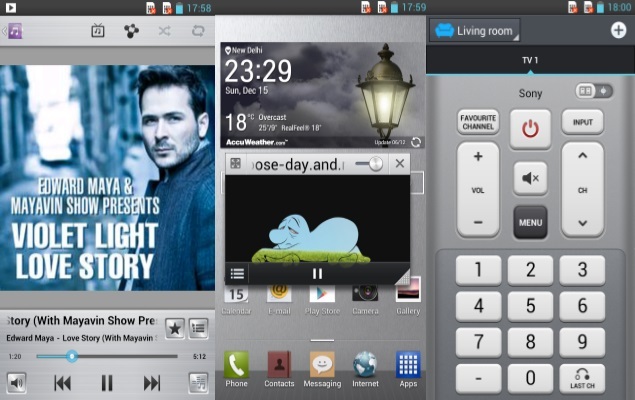 LG G Pro Lite includes up to seven homescreens, where users can park widgets and app shortcuts. Some of the preloaded apps included on the G Pro Lite are backup, file manager, file sharing, Dictionary, Memo app, notebook app, Polaris Office 4, Quick Translator app, LG's service related apps, LG's own app store (SmartWorld), Task Manager among others. The LG G Pro Lite also offers a QuickRemote app to be used in conjunction with the phone's Infrared Blaster. It allows the G Pro Lite to act as a universal remote to control audio, video and home appliances. The app informs that it even offers remote controls for Indian satellite TV providers such as Tata Sky and Dish TV. We must confess that QuickRemote app was easily configured and acted as our remote. The app can also be accessed through a quick shortcut in the notifications panel through a dedicated toggle. The South Korean handset maker has also included a Guest mode that allows users restrict access to a limited number of apps, when given to a child or other people. LG has customised nearly all stock-apps including the Gallery and Music apps on the LG G Pro Lite, adding more functionality in addition to what Android offers. Even the system settings menus have been skinned. The G Pro Lite also features Google Now, an Android 4.2 feature which is voice-based information assistant and an extension of Google search. It uses cards which are essentially small boxes that offer different sets of information like weather forecast, directions, traffic information, scores, appointments and currency conversion etc. The G Pro Lite's music player app offers additional functionality of giving you access to your music library within the Now Playing screen in landscape mode. It also offers Dolby sound enhancements when headphones are connected to the phone. Likewise, the video player on the G Pro Lite also offers a drawer on the right side for browsing videos while playing one. 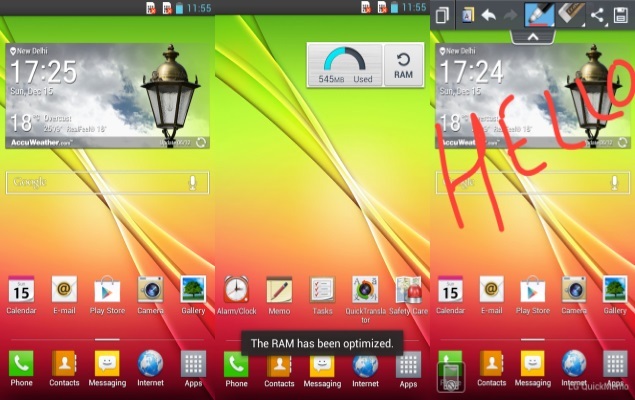 The video player app can run simultaneously with other apps similar to Samsung's pop-up play feature. 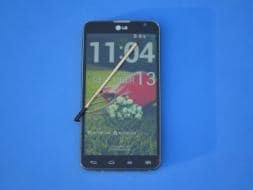 LG has also included software features to enable one hand operation on the 5.5-inch G Pro Lite. Users can set the phone's default keyboard and keypad to be displayed towards the right or left sides, depending on the needs. We were also impressed with G Pro Lite's keyboard, the 5.5-inch display offers enough space to type accurately and even with speed. 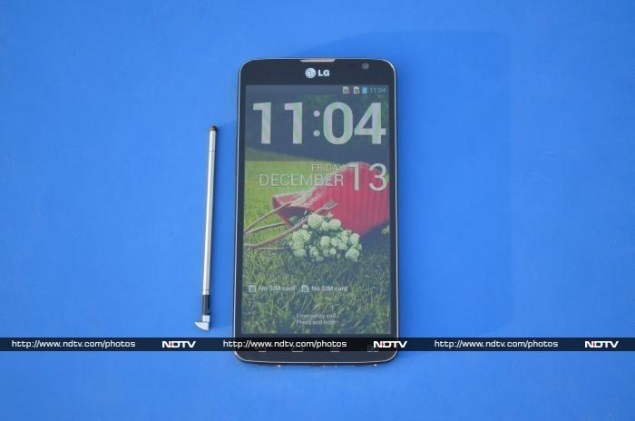 The LG G Pro Lite is powered by a 1GHz dual-core MediaTek 6577 processor along with 1GB of RAM. It comes with 8GB of inbuilt storage, out of which only 4.8GB is user-accessible, though it supports expandable storage up to 32GB via microSD card. Yes, it comes with 50GB of Box app (cloud) space free for limited period; however, we assume that cloud storage is not always handy. Without any doubts, the G Pro Lite's specifications sound quite acceptable on paper. We found the phablet to be slightly laggy in launching some apps like Temple Run 2 and Instagram, however, running the apps was fine. Admittedly, the lag is not that consistent but considering that a dual-core processor backs the device. In day-to-day activities the phablet feels smooth enough and you are not really left wanting for more power until you are stuck with a heavy graphics game, which run with lag, but remain relatively playable. 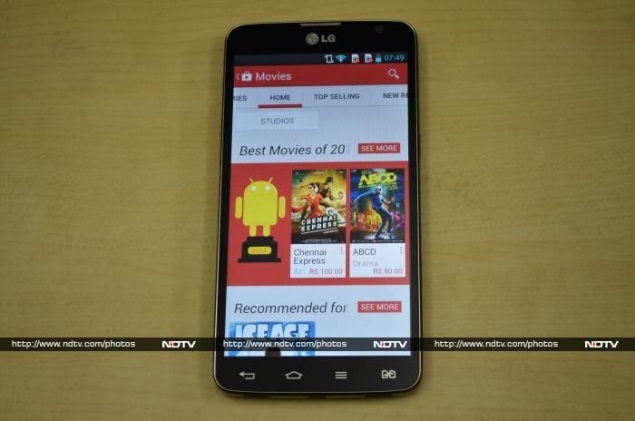 On the sound front, the LG G Pro Lite impressed us much like the Optimus G Pro. The device features dual speakers at the bottom panel which are quiet loud, though it is not comparable to HTC's BoomSound which is backed by an amplifier. 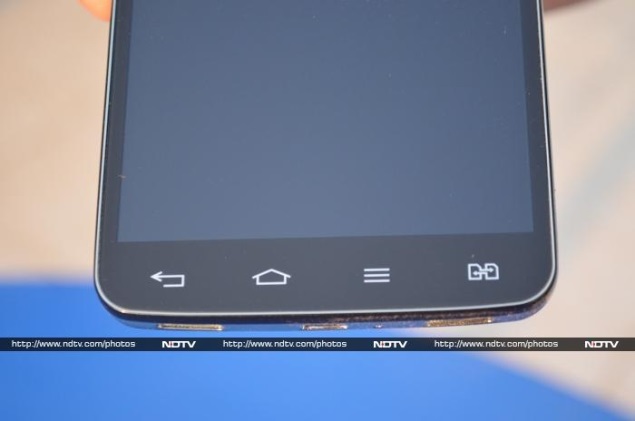 The 5.5-inch qHD display is good for viewing movies and videos. The G Pro Lite was able to play full-HD videos and supported popular video formats like .AVI, .MOV, and .MP4. The G Pro Lite also managed to play the .MKV video but couldn't play the audio, a format that has not been fully supportive on other Android smartphones as well. Using a third-party player solved the problem. Call quality on the G Pro Lite was impressive and we did not encounter any problems with the call clarity and voice through the earpiece grill. We can safely say that users can talk for long hours on the G Pro Lite, without any issues. However, the device's size could be a concern, when talking for longer periods. The LG G Pro Lite ships with a 3140mAh battery that is rated to deliver up to 845 hours of standby and up to 14 hours of talktime. However, based on our testing, the G Pro Lite is an average performer when it comes to battery performance. We were able to get about 10-12 hours with normal usage on the G Pro Lite that included Wi-Fi switched on for all time; Web browsing for more than an hour; a few calls lasting for about two hours; display set on auto-brightness and with the usual notifications for messages, emails, Facebook, hike and WhatsApp. With heavy usage of the G Pro Lite, that included - full screen brightness level, calls lasting for about an hour, 3G turned on all time, clicking casual shots with some tweaking via phablet's default camera app, watching videos for around two hours through YouTube and also on the device, two to three hours of gaming that, and with usual notifications for messages, emails, Facebook, Twitter, Google Hangouts and WhatsApp - the device lasted for only about 7-8 hours which cannot be said to be impressive, considering the G Pro Lite is a dual-core phablet with 3140mAh battery and it does not feature a HD display. However, altering these settings can help in increasing the durability of the phone for longer period. Though we liked the overall performance of the G Pro Lite, we must confess we were disappointed by some aspects of it. The lack of a higher resolution display and a quad-core processor, the dated Android 4.1 OS, and the less than stellar battery performance are perhaps our four biggest gripes. The LG G Pro Lite scores heavily in terms of build quality, it is sturdy enough when compared to Samsung's Galaxy smartphone in the same price segment. While the inclusion of the stylus is nice, LG hasn't added any additional functionality, and there are other competitors (like the Micromax Canvas Doodle 2) which bundle a stylus at the price range. The Optimus UI is quite usable, the 5.5-inch display is wide and yet comfortable enough to use, and the price is not a back-breaking one. At Rs. 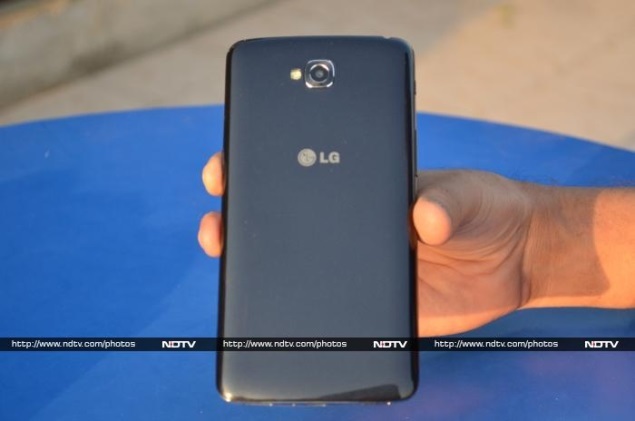 22,990 the LG G Pro Lite offers a decent 5.5-inch package in the segment, as there's no real worthy comparably-sized competition in this range. If you are willing to spend a little more, and don't mind a larger display, you can check out the Huawei Ascend Mate, and Samsung Galaxy Mega 5.8. On the cheaper side, but offering similar functionality, is the Xolo Q2000, which isn't as good as the G Pro Lite in terms of build quality. Those looking for alternative in this price range, and wouldn't mind a smaller display, could consider the Samsung Galaxy S4 mini, available at a slightly higher price than G Pro Lite; Lenovo P780 which comes with a large 4000mAh battery, and the MediaTek-powered Sony Xperia C.
product We review the LG G Pro Lite, targeted as an affordable phablet with stylus functionality, and see if the few compromises ruin the overall package.